Face Nourishing Oil by Ayurvedic Skincare range Rasasara Skinfood. 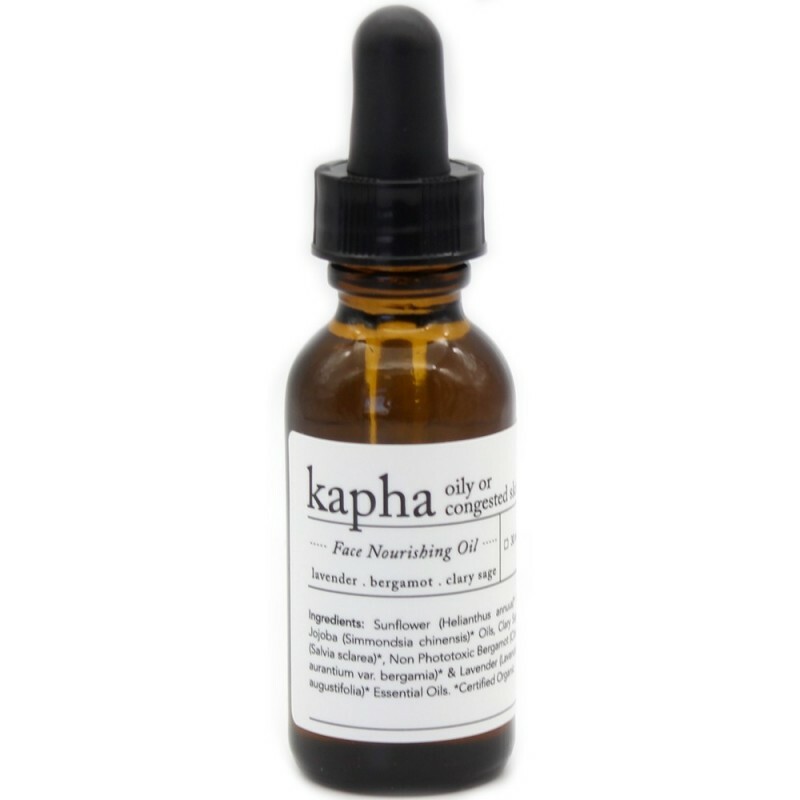 Suitable for oily or congested skin and for balancing Kapha dosha. Helps to balance and detoxify oily skin prone to breakouts. Enriched with Lavender, Bergamot and Clary Sage. 30ml. Balancing face oil for oily or congested skin. Sunflower Seed oil helps to reduce inflammation, acne and irritation. Suitable for balancing Kapha dosha. Infused with soothing Lavender, Bergamot and Clary Sage oil to aid in regeneration of the skin. Sunflower (Helianthus annuus)* & Jojoba (Simmondsia chinensis)* Oils, Clary Sage (Salvia sclarea)*, Non Phototoxic Bergamot (Citrus aurantium var. bergamia)* & Lavender (Lavandula latifolia)* Essential Oils.